Been a while since I recommended any movies, so I think we are due for some new ones. Any movie buffs out there have probably seen most of them already, but if you haven’t you have missed out on some great movies. Classic British movie about a swinging photographer in London who discovers he has captured a murder of a woman on a photograph. Making bigger and bigger prints of the photo he tries to find out what has happened. 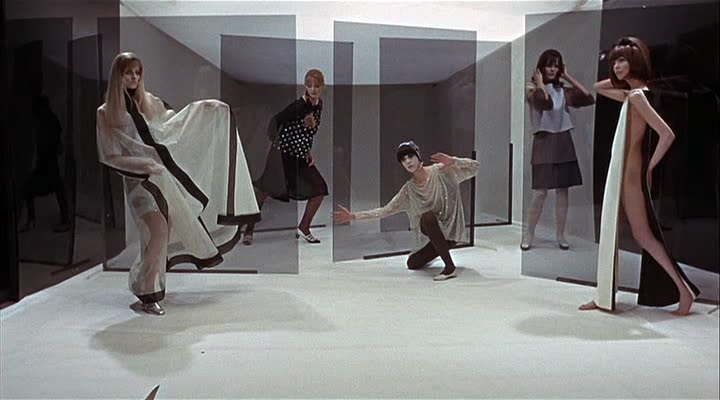 Lots of cool clothes in this movie for all of you are into the 60s mod fashion. Excellent score by Herbie Hancock. Interesting science-fiction cult movie starring Walter Pidgeon and Leslie Nielsen. Forbidden Planet is over 50 years old, but does surprisingly not feel that dated at all. The effects and sets are really excellent, hard to understand how they pulled it all off back then. The music is super eerie and scary, I believe it is the first ever electronic soundtrack for a movie and it really adds a certain something to the movie. British suspense film starring Michael Caine playing a counter espionage agent in London investigating the kidnapping of several scientists. Set in London with some really nice location shots. Really good score by one of my favorite composers John Barry. Mike Myers used the character in this movie as one of his several inspirations for “Austin Powers”. Drama about a struggling first year law student studying at Harvard under a very strict professor. Dealing with the pressure of studying, fear of failing and love at the same time. Has a excellent very easy going score by Johnny (John) Williams, not all like the music he is famous for today. The movie was later turned in to a TV-series shown in the late 1970s.